Below you can find events that Jen Y Insights is involved in that you can attend. I’d love to see you there! Come and enjoy a series of short talks from 6 inspirational leaders with the Global Women Activate Leaders Programme 2018 (Wellington Cohort): Kanohi Ki Te Kanohi (Face to Face Connection) - An Evening with Wise Wellington Women! Speakers include: Shivonne Londt, Pakeeza Rasheed, Claire Callaghan, Natasha Lewis, Jennifer Young & Jess Stuart. This event is supported by TechWomenNZ, Victoria University and NZTech. This is a gold coin koha event. For more information, click on the link for more information. Mindfulness for Change Hui are a space to embody mindful community, to support each other in creating change in the world. Change is not just about creating projects: it involves things like getting clear on purpose, nourishing our wellbeing, working through obstacles that come up, sharing learnings with others in community, and many other processes that are an integral part of creation. This hui, we're focusing on celebration and healing as crucial parts of the work we do in the world. Our 2018 conference theme is “Fearless’. “Fearless” is about encouraging and challenging our delegates to be bold and responsible in the choices they make, to push them beyond the limitations they place on themselves. 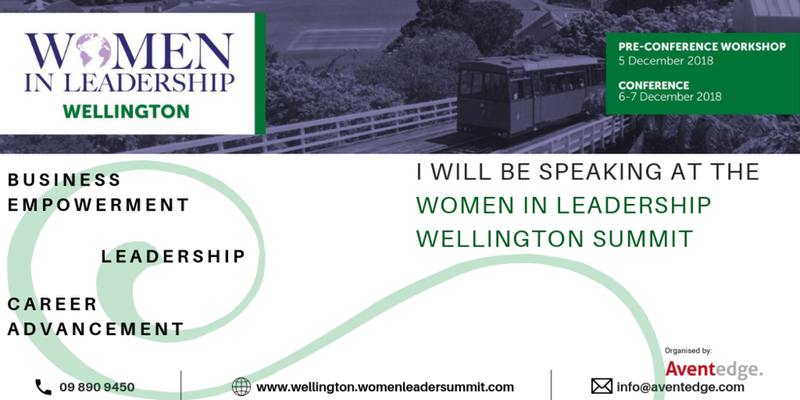 I am delighted to announce my involvement at the upcoming Women in Leadership Summit taking place in Wellington on 6th & 7th December. Hear from myself and New Zealand’s top female leaders and corporate figures and engage directly with the best leadership and performance coaches this December. The agenda tackles the challenges of gender equity and achieving leadership goals. I will be speaking as part of the Millennial Panel: How can we bridge the intergenerational divide to build the leaders of tomorrow? Get advice directly from these millennial emerging leaders on the unique abilities they bring to the table.